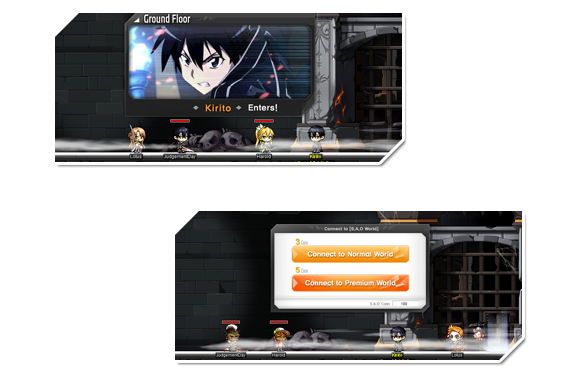 During the event , you can either accept the quest "Meeting with [Sword Art Online] 'Kirito'" or by talking to NPC Kirito who is located in each of the town and you can move to SAO dungeon! 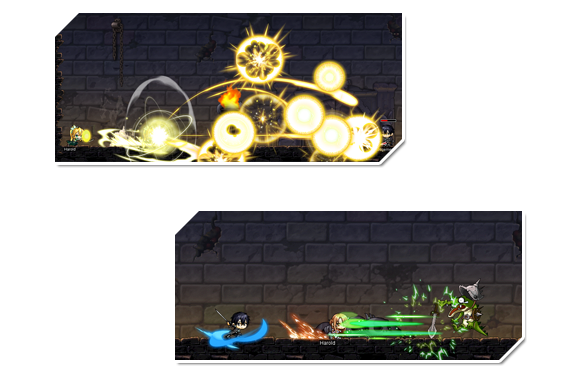 Once you entered the dungeon you will randomly transformed into "Kirito", "Azuna" or "Leafa" for a limited time, and will be able to fight using their skills. 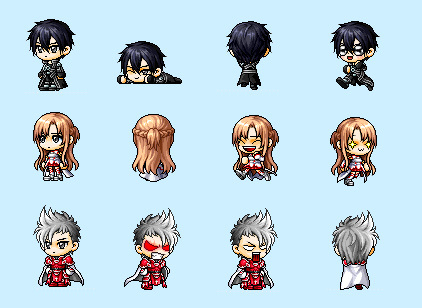 Utilize abilities such as The Eclipse, which allows Kirito to attack enemies in all directions with his dual blades, or Star Splash, which allows Asuna to slice foes at the speed of light. You cannot use your own equipment or skills while in the dungeon. If you need to recover HP and MP, you'll have to hunt Ragout Rabbits* for sustenance. You will have one entry per day to Normal dungeon. Subsequent admission and to the Normal dungeon and Premium dungeon you will need a SAO coin! Note: The items dropped from Ragout Rabbit cannot be discard once picked! Defeat all the monsters on each floor to progress. 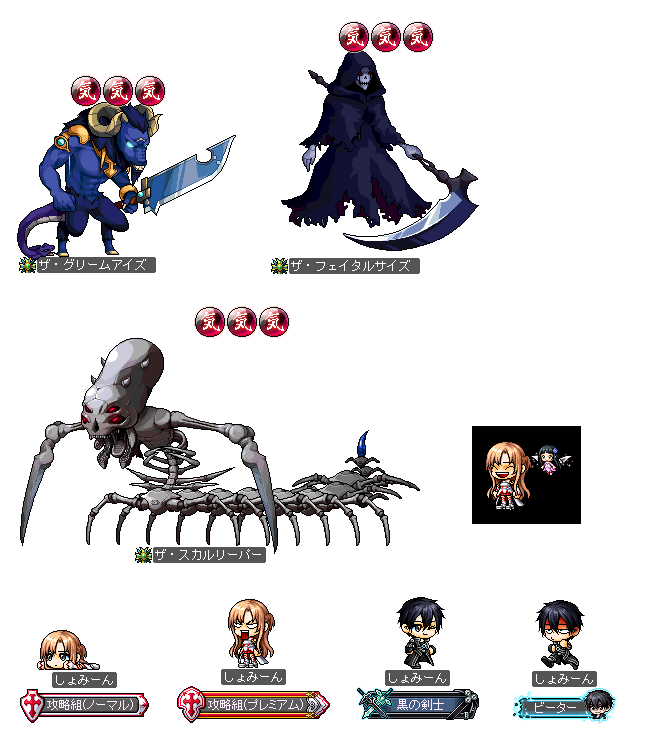 As you venture deeper inside the dungeon, you will randomly encounter bosses from Sword Art Online, including The Gleam Eyes, The Skull Reaper and The Fatal Scythe. 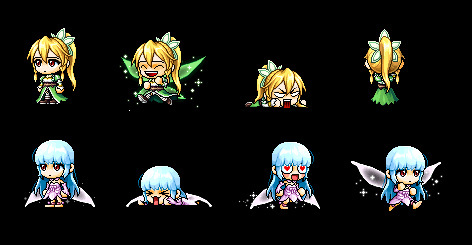 Defeat a boss and you'll find Asuna waiting for you in a special room. She'll reward you with a random item, such as a cape, potions and much more!You can receive different rewards depending on which boss you defeat, which difficulty you beat them on, and how many times you claimed victory. Clear the dungeon multiple times and you'll be awarded special medals! If you defeat a boss more than once, you can even receive a familiar with their likeness. Requirements: The player who entered to the top 15 list will earn a world top "Beater" Medal! Note: "Beater" Medal will only be rewarded to the player after the event. The new dungeon isn't the only way to experience Sword Art Online - for a limited time, you can dress up like Kirito, Asuna, Leafa and even Yui, with special items available in the Cash Shop.